The Parque de Baconao just outside Santiago de Cuba is a must for families with children. 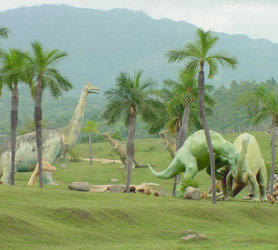 Large stone life-size animals such as dinosaurs and modern creatures litter this beautiful park called the Valle de la Prehistoria Park or Prehistoric Valley. Close by you will also find a small car museum with some old relics from the 30s, 40s and 50s. There’s also an aquarium with dolphins and other marine creatures. As a whole day out for the family, there’s a nice mix of things to do plus, the Baconao Park backs up onto some of the nicest beaches in Santiago de Cuba so take your swimwear and sunblock. The whole 84000 hectares of the park were declared a Biosphere reserve in 1987 by UNESCO and include the; La Gran Piedra viewing Platform, Valle de la Prehistoria, Granjita Siboney (Siboney Indian Reserve) , Transport Museum and the Baconao Lagoon, in which you can see how Taino Indians lived in the territory now called Santiago de Cuba. 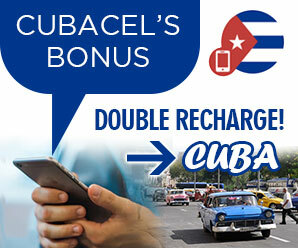 All this is just 20km from Santiago de Cuba city center and well worth a trip out for the whole day.